We caught up Maria and Sarah from our footprints team who visit the wards and imprint newborn footprints onto cards for an extra special keepsake. 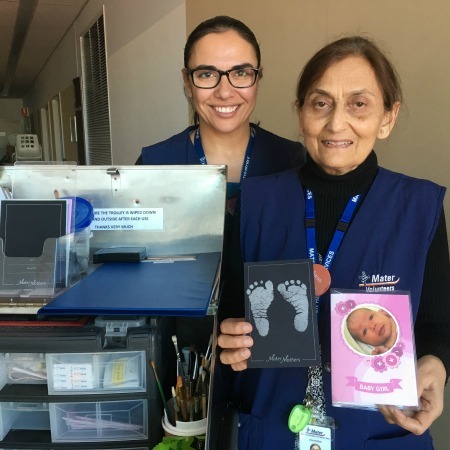 In 2017 our footprints teams created 5326 footprints cards for Mater families, with funds raised going back into services for Mater Mothers' Hospitals. 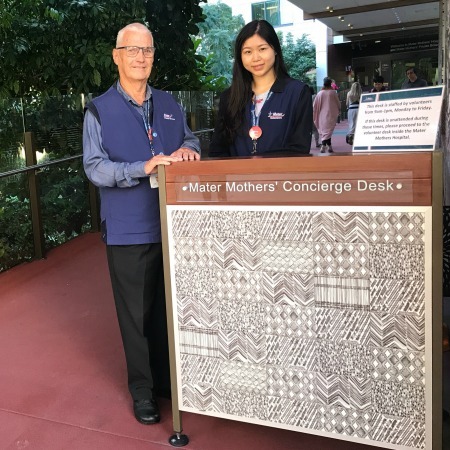 Mater Mothers’ Concierge’s Ross and Johanna have a unique volunteering role – their jobs vary from welcoming patients and visitors (including women in labour! ), wayfinding on campus and even helping pack cars on departure. Taking a happy family snap before heading home is of course compulsory!